Get the first look at our new space! 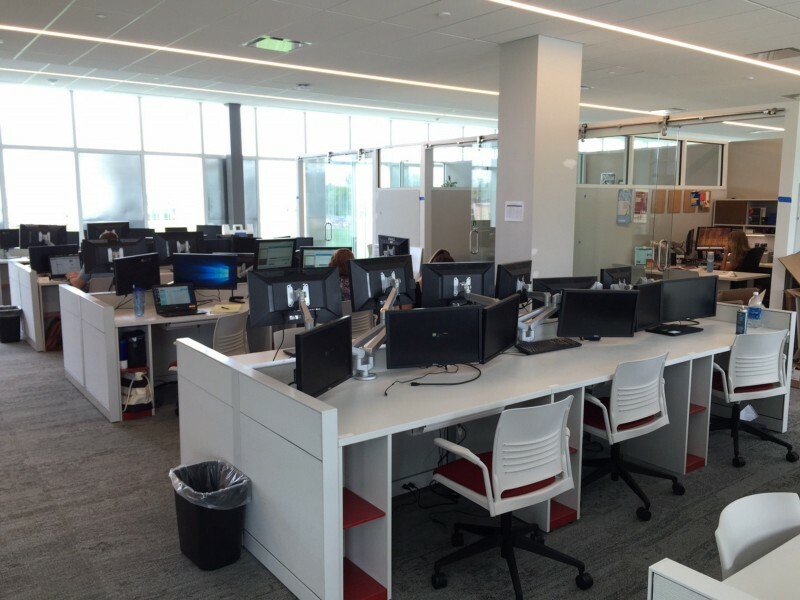 Get the first look at our new and improved office space at the ISU Core Facility! You can now find us at 1805 Collaboration Place, Suite 1300, Ames, IA 50010. 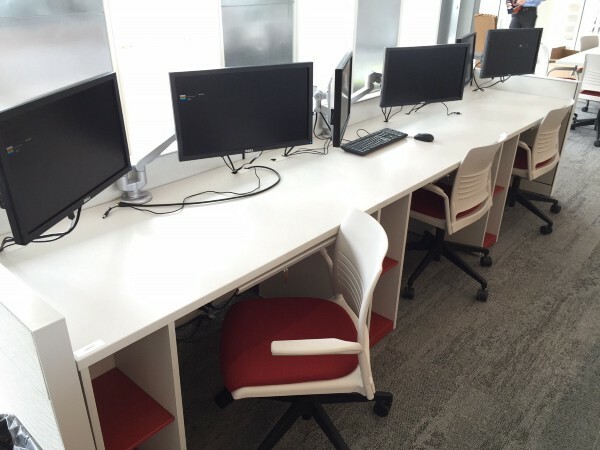 Students from CyBIZ Lab and CYstarters can utilize this space for their projects and research. Each station has dual monitors and an HDMI hookup to connect to a laptop. The open space is perfect for group work and collaboration! Here’s a look into one of the private offices — Hi Ted! 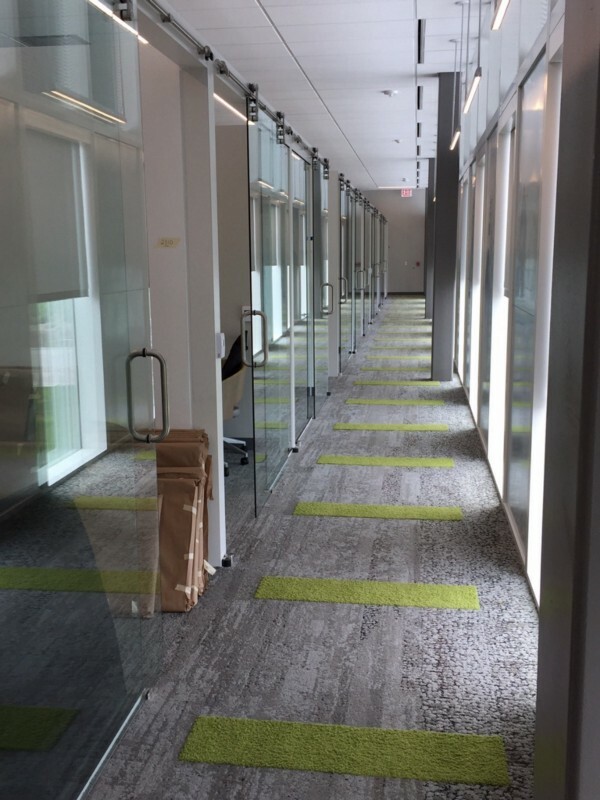 To keep a consistent open-concept theme, each is featured with a sliding glass door to keep a cohesive and inviting work space. Fun feature: with the push of a button, you can adjust the height of the desk to your personal liking- you can even set it high enough to stand! 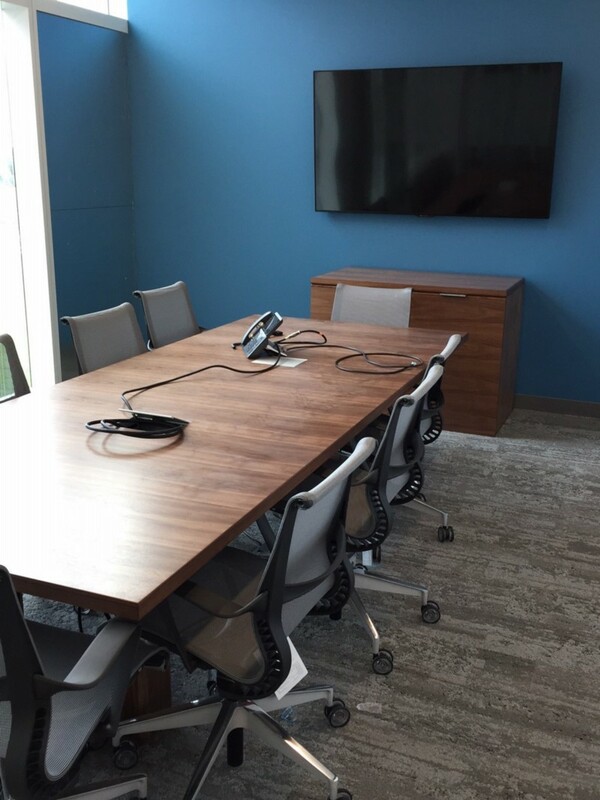 Here is an inside look of a private conference room, equipped with a phone for conference calls and a flat screen to make presentations easy and more effective. Another great feature is the white board walls inside of our conference rooms and also scattered throughout our office space to make teamwork and brainstorming a breeze! 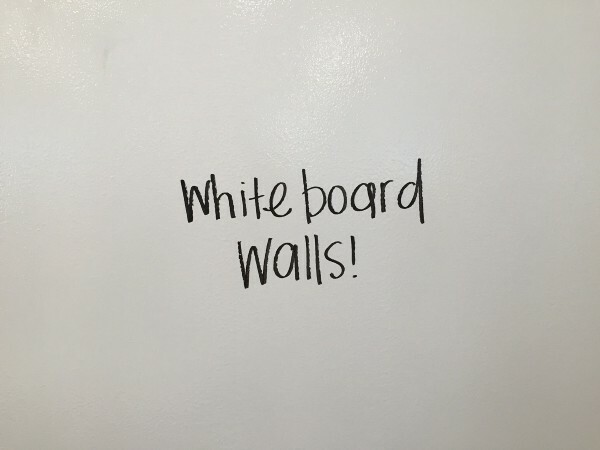 Be careful: not every white wall you see is a white board! Make sure you double check before you start your doodles! The facility’s kitchen and café area is still a work in progress! Once finished, this will be another valuable space to work and change up the scenery a bit. Or to simply just eat lunch and socialize with coworkers throughout the entire building! 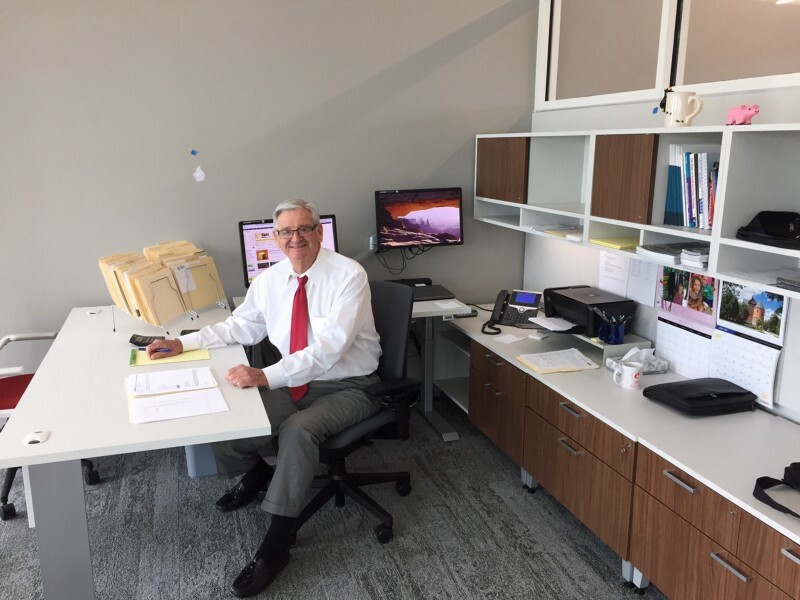 Not every department has the same setup… here is just one example of a sector with more individual offices rather than the open computer area that we opted for! The same design concepts were kept consistent, but each division had the opportunity to have a say in what type of layout would work best for them! 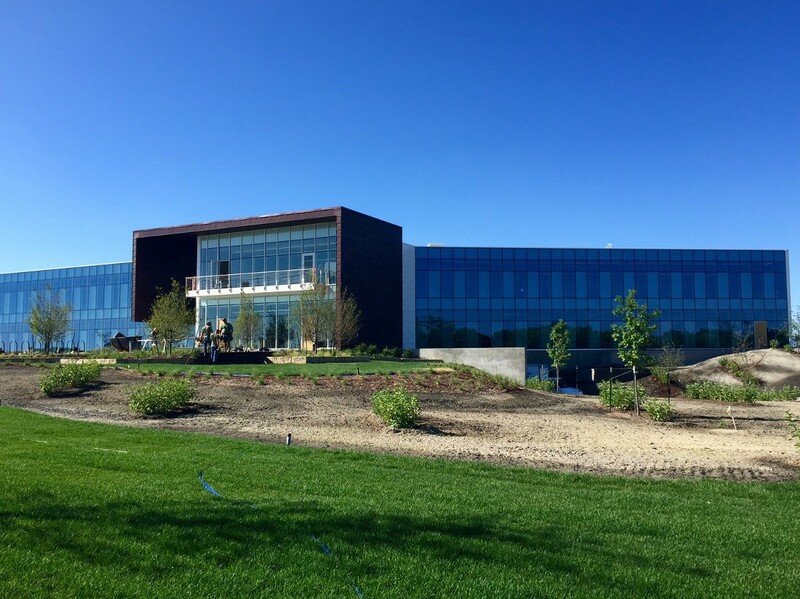 CIRAS, ISU Research Foundation & Intellectual Property, ISU Research Park, ISU Office of Economic Development & Industry Relations, and the Iowa SBDC. 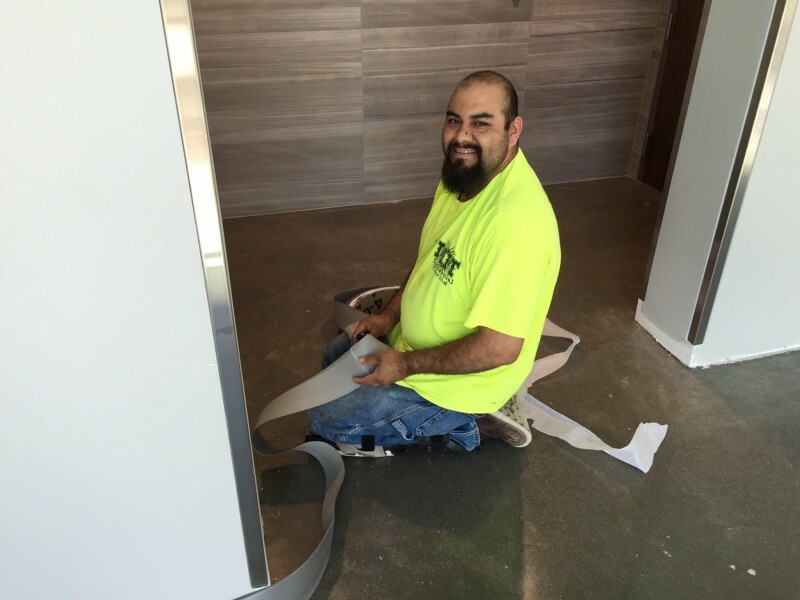 We would like to extend a special thank you to all of the workers who have put in so much time into making our office so beautiful. We appreciate all you do!